The Allegro Dance Company is thrilled to present their first full-length production, Into the Night: An Exploration of Life, Love, and Loss. This newly formed fusion dance troupe reflects Director Ashley Lopezâs signature theatrical style while exploring the mystery, pain, and ultimate beauty of the human condition. Mortality is boldly and elegantly confronted in this multimedia production of dance, music, and film. 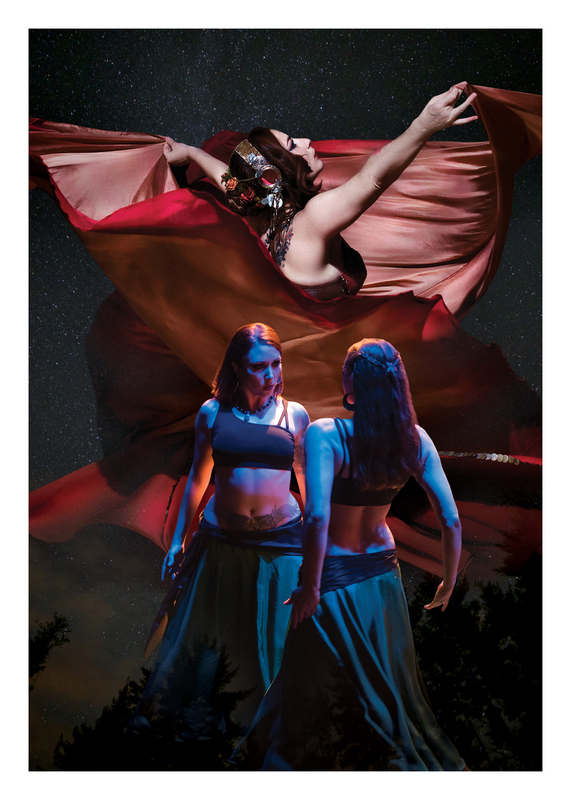 Ashley Lopez is an internationally touring belly dance fusion artist. She teaches locally, online and worldwide. Trained in multiple styles of dance, she is also a certified yoga, fitness, and Pilates instructor and holds a bachelorâs degree in music as an opera singer. Lopez draws from her eclectic background to choreograph intricate, athletic, show-stopping pieces. No two dances are alike in this production. The Allegro Dance Company draws from a diverse pool of local talent. Each of the 14 dancers brings her own artistic flair to this collaboration. Prepare yourself for fantastic costumes, heart-pounding finger cymbals, theatricality, live singing, and even some contortion.